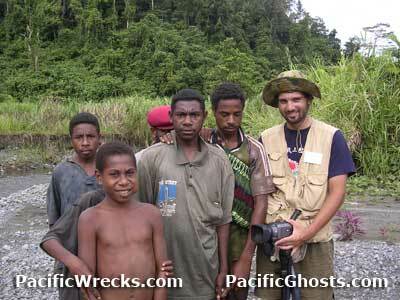 Lat 3° 19' 60S	Long	142° 55' 0E Suain village is a coastal village located on the north coast of New Guinea in East Sepik Province in Papua New Guinea (PNG). Located to the east is But. The Swain River runs east of the village and runs roughly southward, crossing the coastal road. Also known as Suain 1 and Suain 2 (closer to the road). During the German administration, a track was established between Babiang to Suain. At this location, Suain plantation was established at this location planted with coconut palms harvesting copra. During 1943 occupied by the Japanese Army. During the middle to late 1944, attacked by Allied fighters and bombers. Before withdrawing from the area in late 1944, the Japanese cut down coconut palms to render the old German track useless for vehicle traffic. In early December 1944, occupied by the Australian Army. At low tide, the compacted sand on the coast was used as an improvised road for jeeps connecting Suain Plantation to Babiang. On December 10, 1944 Australian Army Major-General J. E. S. Stevens (C. O. 6th Division) visited Suain plantation to have a conference with senior officers. By December 15, 1944 the 2/4th Infantry Battalion and Battalion Headquarters established a new camp site at Suain roughly 3,000 yards from the bank of the Danmap River. Other Australian units that operated at Suain included Australian New Guinea Administrative Unit (ANGAU), A Troop and the 2/10 Commando Squadron. From this location, soldiers patrolled the area westward. During early January 1945, the 2/2nd Field Company worked to clear coconut palms and other construction work to further develop the area. The unit used explosives to quickly knock down palm trees and at least one bulldozer to level ground. At this location, Suain Airfield was constructed, a small emergency landing ground (ELG) at this location. On May 28, 1945 Royal Australian Air Force (RAAF) Tiger Moth A17-48 made an emergency landing at this location. "I visited Suain with the Japanese Government Ministry of Health Labor & Welfare (MHL&W) to locate war dead. Villagers had stories of Japanese infantry weapons still emplaced in the hills, and fighting positions dug in the area. There were some wartime relics in the village, including a Type 92 7.7mm heavy machine gun "Jukie" and 75mm artillery shell. With their help, we located the remains of several Japanese soldiers. 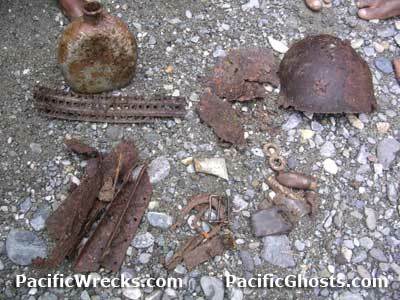 These remains represented soldiers killed by air attacks or starvation, all had very minimal equipment. In September, the remains were recovered to Japan."